We have multiple alternating current field measurement (ACFM) units to support up to three field crews simultaneously. 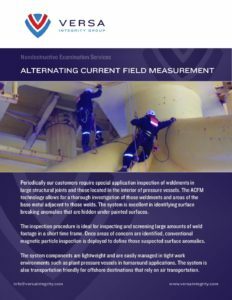 Alternating current field measurement (ACFM) was derived from methods used in eddy current testing, and originated out of a need to inspect offshore structures without removing protective coatings. Today, ACFM works exceedingly well for onshore and offshore applications. Alternating field current measurement (ACFM) technology allows for a thorough investigation of large structural joint weldments, and areas of the base metals adjacent to those welds. ACFM is an excellent NDT method for identifying surface breaking anomalies that are hidden under painted surfaces. Once areas of concern are identified with ACFM, magnetic particle testing is deployed to define those suspected surface anomalies. 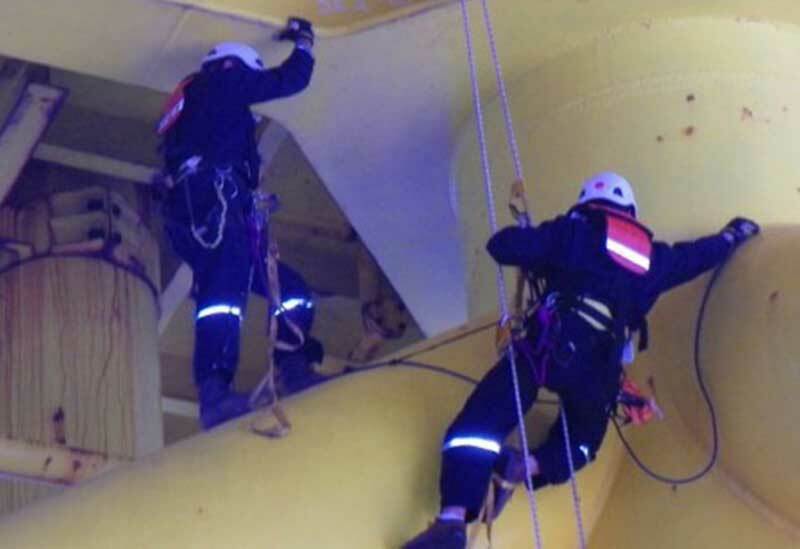 If you are onshore or offshore, we have the quality alternating current field measurement (ACFM) technicians to locate the areas of concern you have under protective coatings. Don’t remove those coatings and risk potential environmental issues. Use ACFM instead to mitigate damage mechanisms and protect the surrounding area.